A promise ring is a gift from the heart. Sometimes, finding the right words for this gift can be a challenge. Here are a few tips for what to say when giving a promise ring to your loved one. Speak from the heart. While you can certainly choose to prepare and rehearse what to say, the key is to be authentic. If you are saying words that don't ring true to how you normally talk, it may come off as fake or insincere to the recipient of the gift. Consider a poem. An easy way to choose the right words is to select a heartfelt poem as part of the presentation of this gift. There are a lot of love poems which are easy to memorize and carry a lot of romantic meaning to make this moment magical. You can also recite a special song as part of the moment. Make it a special moment. 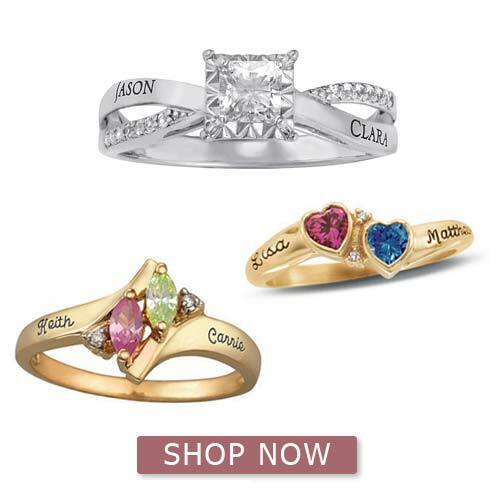 A promise ring is typically used to symbolize an intention to get married in the future. This is a great time to show the one you love just how special they are to you. Make a grand gesture such as hiding the ring box in a bouquet of roses, turning it into a romantic scavenger hunt, or taking her back to the place where you first saw her. The idea is to do something she will appreciate that is unique to your love story. Don't feel pressured to do a big speech. While marriage vows are a public matter, the matter of presenting a promise ring is private. If you're feeling nervous about the pressure of giving a big speech, feel free to keep it brief. The exchange of such a gift can be accompanied by a short speech of only a few brief sentences. "This ring is a symbol of my love for you and my plans to marry you." "Until we are joined in marriage, this ring is a testament to my commitment to our relationship." "A promise solidifies the bond between two people. With this promise ring, I vow to honor that bond forever." "Our love story has changed my life forever, and with this ring, it is only just beginning."